Pointed-toe mules have become an obsession of ours: They are, when you think about it, the perfect shoes for right now. A backless cut makes you feel like you've still got one foot basking in the glory of summertime, while the closed toe ensures you're way ahead of the fashion game and heading well on into autumn. Those are obvious things, we know. The real reason this style has caught on like fashion wildfire is down to Chanel's serpent-heeled versions being the most coveted shoe style of the past few months. If you thought the brand's classic slingbacks were elegant, these mules take things to an even more playful level—the kind Rihanna gets involved in first. The latest Chanel effect has prompted a spike in pointed-toe mules hitting shop floors across the shopping gamut. You can find great pairs in Topshop (the colourways are for the more adventurous customers out there) as well as strappy ladylike versions from London-based luxury shoemakers Malone Souliers. Flattering on the ankles and equally as effective with cutoff jeans on the weekend as they will be with a smart work-friendly pencil skirt, we're sold on investing heavily into the look before winter comes to ruin everything. 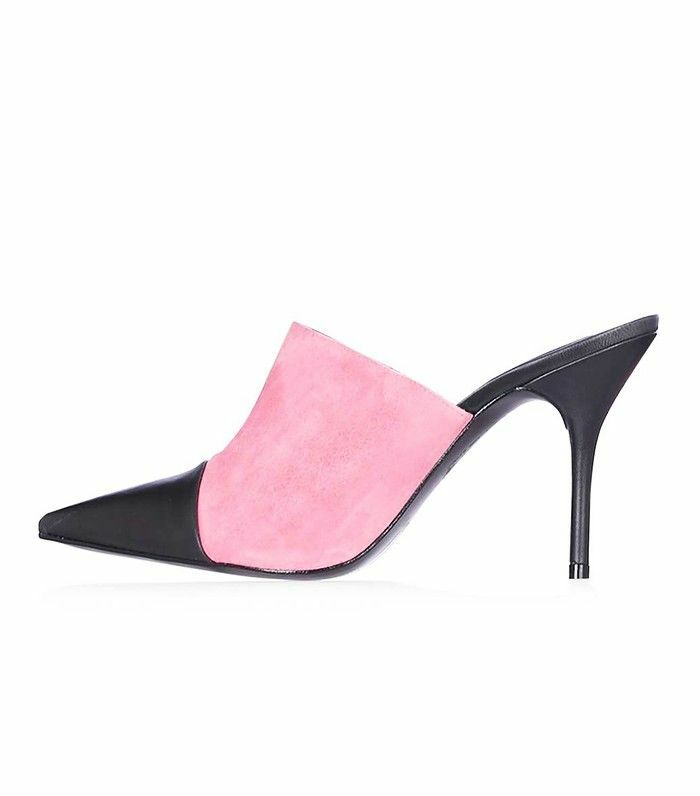 Scroll through our favourite pointed-toe mules this #TuesdayShoesday. Candy pink to make fashion girls wink. Who doesn't love silver shoes? Rock 'n' rollers can get onto the trend too. These autumnal shades will update everything you own. For your Marilyn Monroe moment. A subtle slingback for those of you who can't keep slip-ons on! You didn't think Zara hadn't noticed, did you? See the autumn shoe trends our A-list columnist is most into.